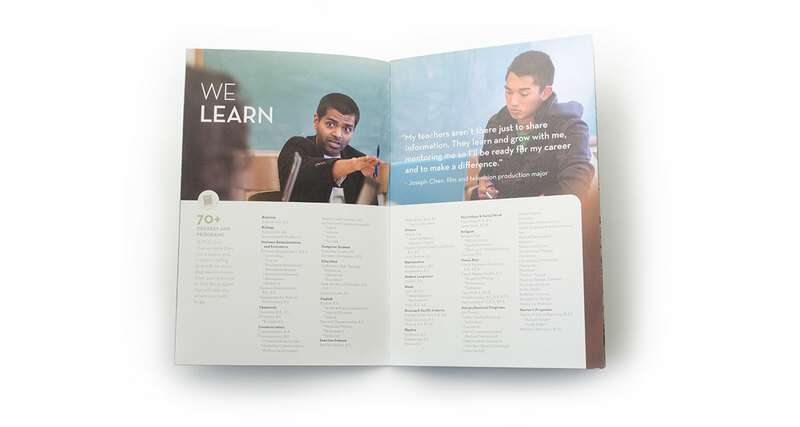 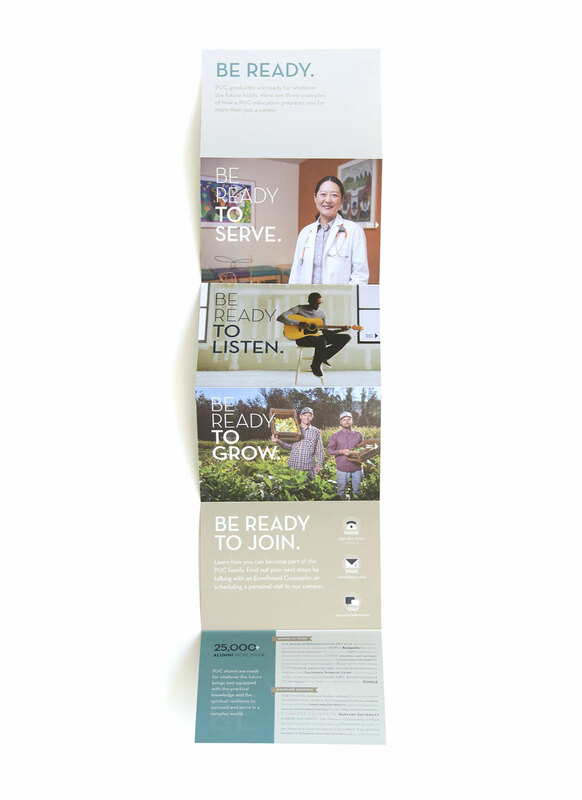 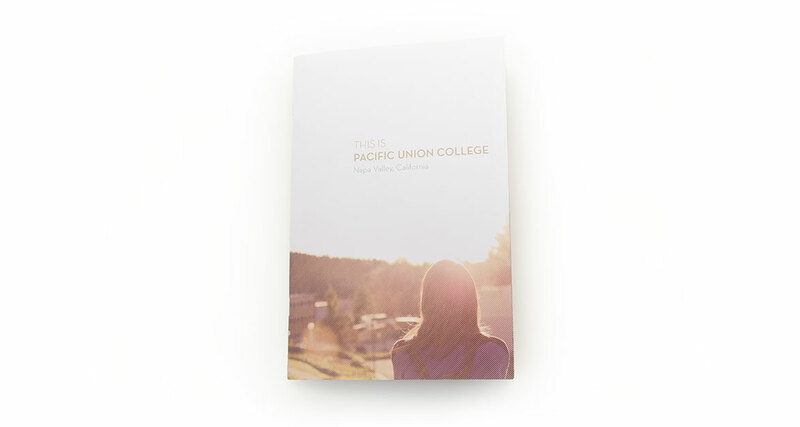 While working at Pacific Union College, I helped develop the styling for a new marketing campaign. 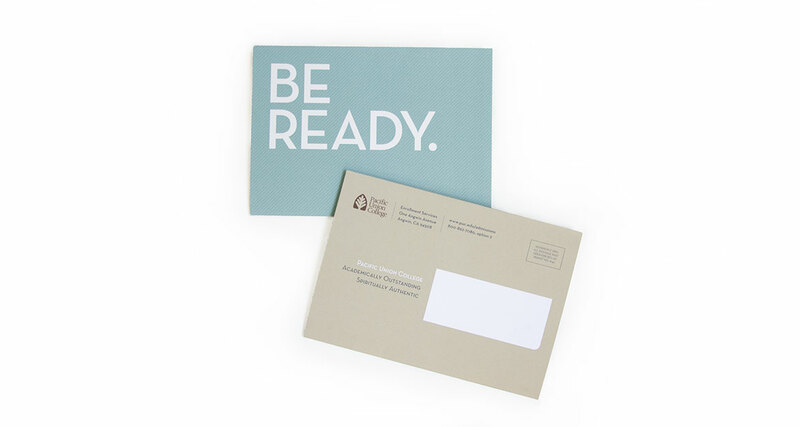 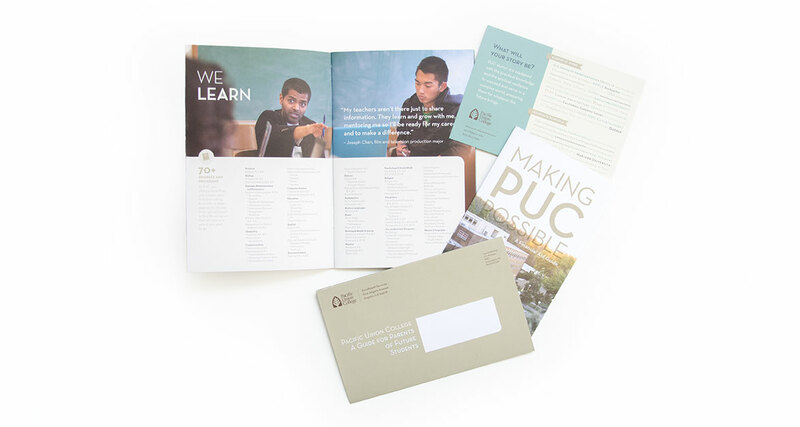 The pieces included direct mail, HTML emails, social media, blog posts, and content on our dedicated admissions website, all which the students recieved in a specific order, based on when they entered our system. 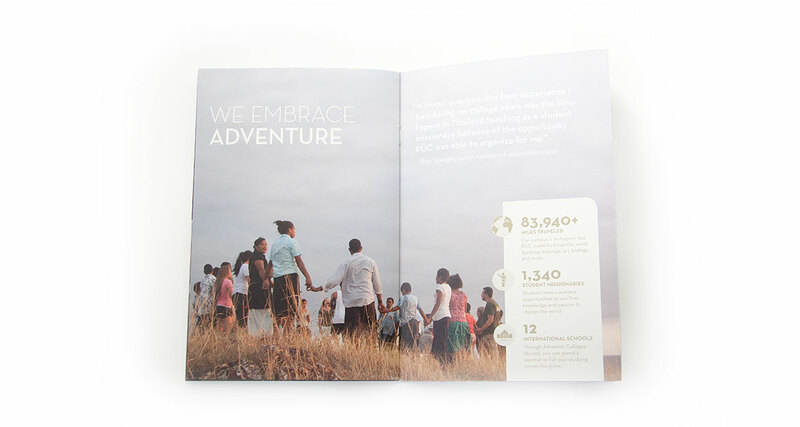 I was involved in crafting the overall style for this campaign, as well as designing individual pieces for both print and web. 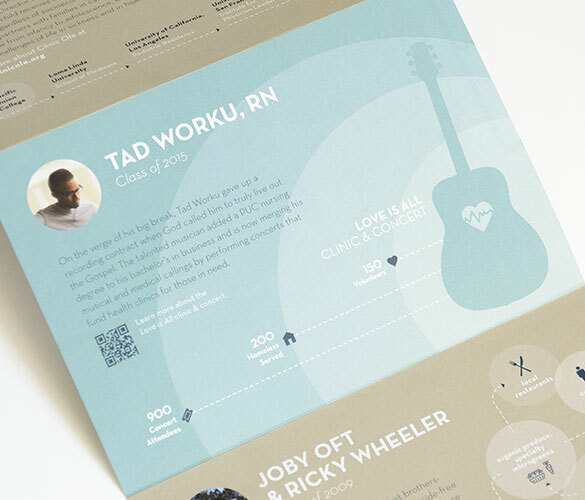 Many pieces were a collaborative effort, but the pieces below are ones I largely had ownership of. 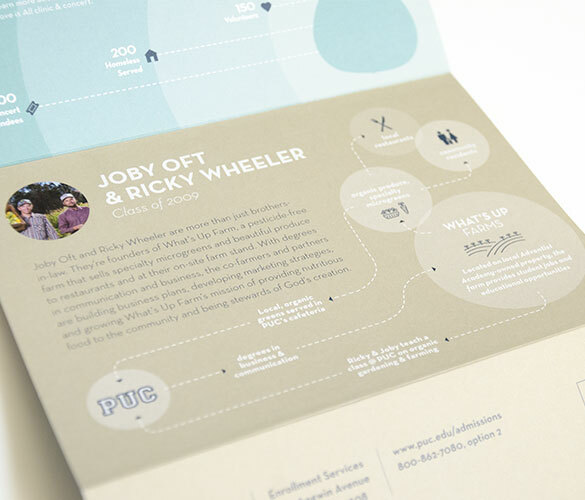 All illustration and icons used in the campaign are mine as well.